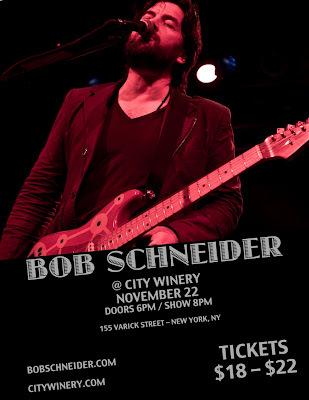 New York, Bob Schneider is coming back to town! 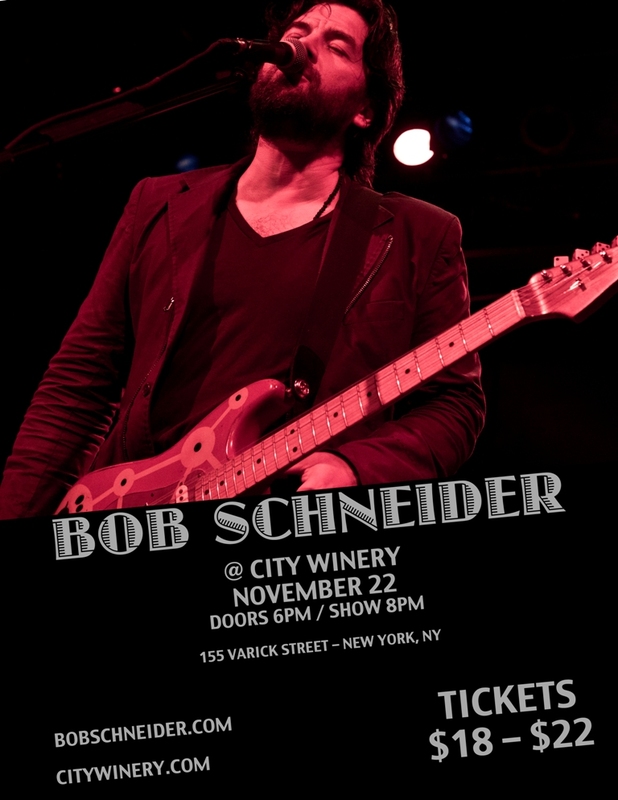 Schneider will take the stage at City Winery on Tuesday, November 22. Show is at 8PM and it will cost you $18 - $22. Be quick like a bunny, the show is likely to sell out! You should go and show him massive amounts of love. And, to get you nice and ready for the show, check out the video of "Honeypot" at the bottom of the post. It was directed by Jon Collins and the song is from Schneider's A Perfect Day record.